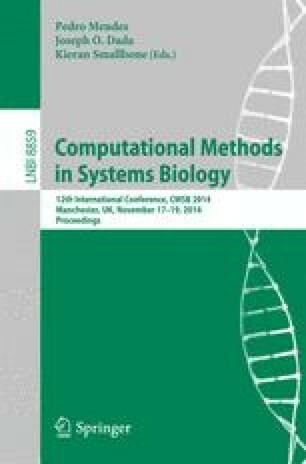 Methods for model integration have become increasingly popular for understanding of the interplay between biological processes. In this work, we introduce an approach for coupling models taking uncertainties concerning the crosstalk into account. Using constraintbased modeling and formal verification techniques, a pool of possible integrated models is generated in agreement with previously validated behavior of the isolated models as well as additional experimental observations. Correlation- and causality-based analysis allows us to uncover the importance of particular crosstalk connections for specific functionalities leading to new biological insights and starting points for experimental design. We illustrate our approach studying crosstalk between the MAPK and mTor signaling pathways.